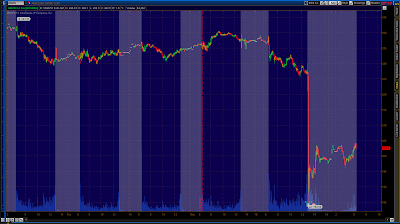 Equity futures are lower this morning following yesterday’s moneyness/ leverage fluff fest. The dollar and bonds are recovering a small part of yesterday’s losses, the Yen continues into record territory, oil is down slightly, gold & silver are holding onto yesterday’s gains, and food commodities are slipping slightly. 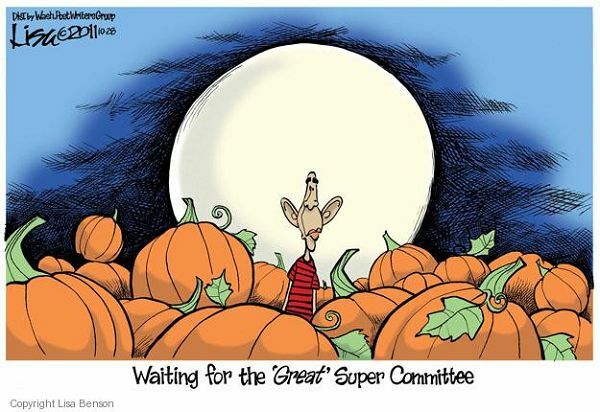 Yesterday was a sad, sad day for America, did you miss it? What the media and your government didn’t tell you yesterday was that America’s advertised debt (reality is WAY higher) surpassed 100% of the nation’s GDP? No, all you heard on the news was that trumped up GDP supposed “grew” by 2.5%. But remember, debt is money inside of the central banker box, and thus it is the growth of debt/money that you are seeing as “growth.” Do not believe the lies, remember that lying is a cooperative act, do not give the purveyors of fraud permission to lie! Personal income rose modestly in September but wages & salaries were healthy. Meanwhile, spending was up notably while inflation was mixed. Personal income in September edged up 0.1 percent, following a 0.1 percent dip in August. The latest number fell short of the consensus forecast for a 0.3 percent gain. Importantly, the wages & salaries component rebounded 0.3 percent, after declining 0.1 percent in August. Sluggishness in income was from a dip in interest income and from flat government benefits. Consumer spending ramped up, gaining 0.6 percent, following a 0.2 percent rise in August. The September figure beat analysts' median forecast for a 0.3 percent increase. By components, durables jumped 2.2 percent after a 1.1 percent decline in August. 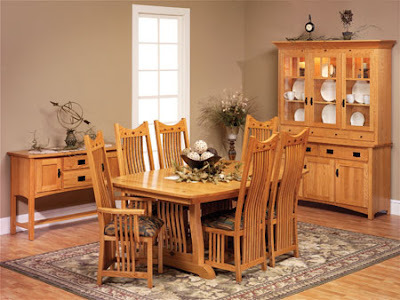 Nondurables increased 1.1 percent, following a 0.6 percent rise. About half of the nondurables increase was price related. Services rose 0.2 percent after a 0.3 percent gain in August. Turning to inflation numbers, the headline PCE price index increased 0.2 percent after gaining 0.3 percent in August. The consensus called for 0.2 percent gain. The core rate slowed to no change from up 0.2 percent in August. The market expectation was for a 0.1 percent rise. Year-on-year, headline prices are up 2.9 percent, compared to 2.9 percent in September. The core is up 1.6 percent on a year-ago basis, down slightly from 1.7 percent in August. Today's report is relatively strong-at least for this recovery. Headline income is sluggish but the important wages & salaries component is moderately healthy. Personal spending is robust although price gains played a partial role. Core inflation softened and this gives the Fed room for further accommodation if the FOMC chooses. 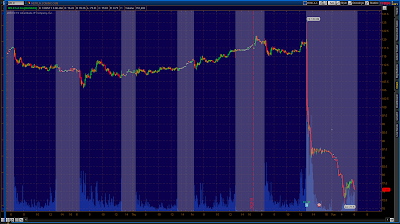 On the news, equity futures slipped a bit. Growth in benefit costs eased substantially in the third quarter and helped to bring down the employment cost index to a quarter-to-quarter plus 0.3 percent in the third quarter from outsized 0.7 percent and 0.6 percent gains in the prior two quarters. The reading is far below the Econoday consensus for plus 0.6 percent. The year-on-year rate slowed to 2.0 percent vs the prior quarters' 2.2 percent and 1.9 percent. Benefit costs slowed to plus 0.1 percent in the third quarter, down from 1.3 percent and 1.1 percent in the prior two quarters. Wages & salaries rose a respectable 0.3 percent, following a run of 0.4 percent gains. But the year-on-year rate of plus 1.6 percent, the second in a row, is below the core CPI rate of plus 2.0 percent and well below the overall CPI rate of plus 3.9 percent. Are you dazed and confused yet by how these statistics show supposed growth and yet there is a giant disconnect between them and reality? Money printing coupled with false and misleading statistics is why that disconnect exists, again, we have to collectively stop giving our tacit permission for the lies. The University of Michigan’s Consumer Sentiment reading just came in at the very depressed level of 60.9, which is higher than the last report of 57.5. This reading, while depressed, is in the opposite direction of the Consumer Confidence reading we just got which is near an all-time low. 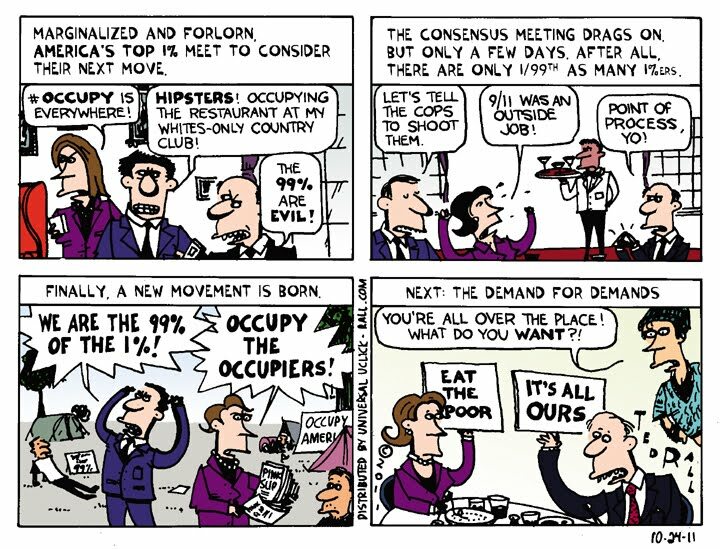 Not that the “consumer’s” sentiment matters – they are being marginalized more and more. Uh, huh, sorry, but I don’t give my permission for that whopper of a lie. And let’s be clear, the AARP crowd is right, people have paid into the system for years and years, they deserve to get the benefits that were promised to them! WE all deserve to get something back for what we put in, failing to do so is letting the criminal class abscond with your life’s productive efforts, and that’s called theft! 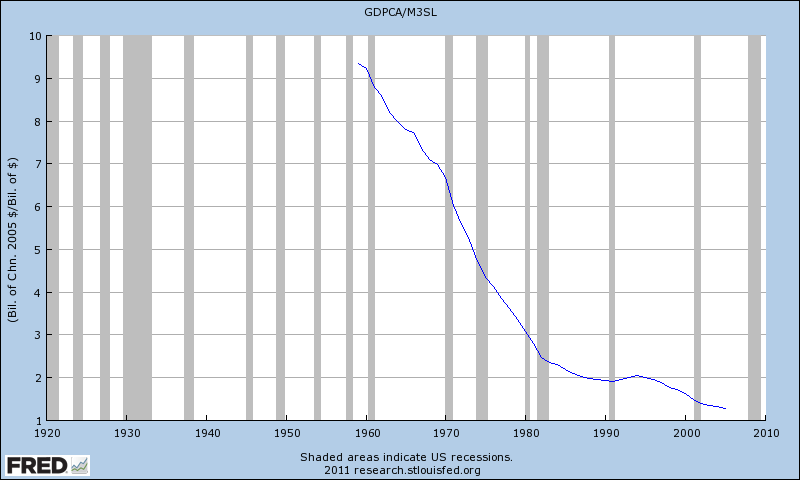 For decades the surpluses that went into Social Security were moved into the general fund and spent. 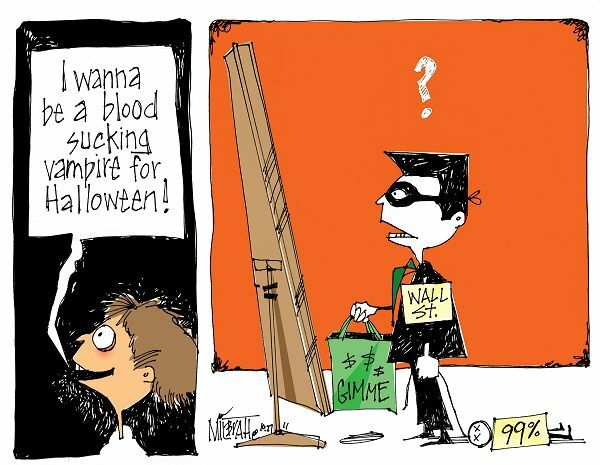 Spent on what? Stupid things like ridiculous wars, insane “defense” spending, and special interest pandering galore. This is what happens when you give the money production power to a few private individuals, they turn YOUR PRODUCTION (99%) into THEIR GAINS (1%). So now all that’s left is a phony accounting entry saying that Social Security is owed all that money. And now we have a demographic problem where for the next couple of decades we’re going to be taking in less than is going out – that’s the Ponzi nature of the way the program was created. It is Ponzi because it did not start with assets, payouts were dependent upon current income, and we squandered surpluses instead of saving them. What to do now? To “unponzify” social security all that must be done is to create 1 trillion sovereign, non debt backed, dollars (more if needed), and then PARK THEM into a new and untouchable Social Security Trust Fund. You then use those dollars to meet obligations while the demographics are unfavorable, and then mandate that during surplus years the fund is rebuilt. No changes to benefits or taxes required. That’s it, that’s all it takes. 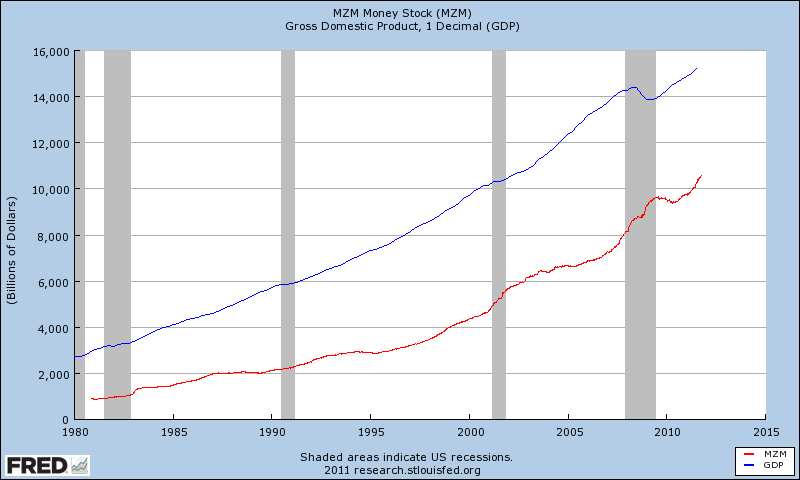 Creating this truly sovereign money is NOT inflationary because it is parked (like the current $1.6 trillion “excess reserves are today) – and in fact it acts as a sort of ‘shock absorber’ to the demographic roller-coaster. It took no “PAIN” to create that money, it simply took removing your brain from the debt as money to control you paradigm. In other words, it took not giving permission to the lies. In fact, had it been given the proper reserves and accounting in the first place, it would never have been “Ponzi” from the start. Equity futures are zooming this morning as the Euronuts finally agree on a “deal.” The dollar is therefore plummeting, bonds are falling, oil is zooming, silver is higher, gold is flat, and you also get to pay the price for their folly in the price of food commodities. Note that the Yen is rising to new all-time highs, something that they feel they must fight with more and more printing in defense – Gawd I love the smell of leverage in the morning! On the deleveraging side, the deal in Europe gives the private Greek bondholders a 50% default which will take the advertised Greek debt down from 150% of GDP to “only” 120%! This aspect is a joke, of course, because 120% itself is completely unsustainable, but they will be back at 150%++ in no time considering how the central banks “rescue” (enslave) people. On the leveraging side the two other aspects of the deal more than compensate for deleveraging associated with the haircut. Part one involves leveraging their “European Financial Stability Facility” (EFSF) by “four or five times!” Let me translate that for you – the EFSF has very little, if anything, real backing it. 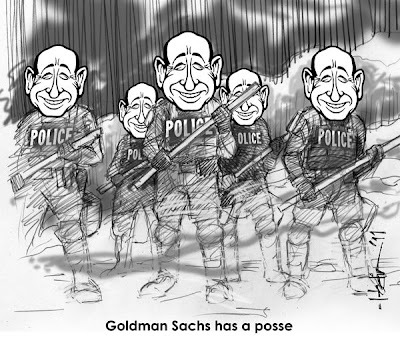 It is simply a made up devise of pretend money that they are now leveraging – leveraging the leverage if you will, which is a fancy way of saying that they are printing money from nothing. 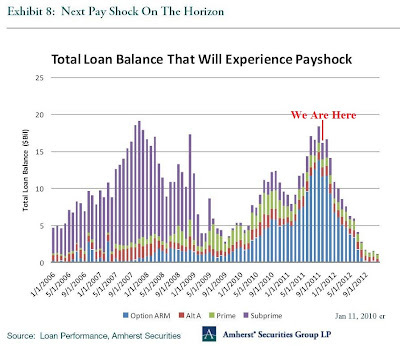 Part two of their leverage game is that they conducted phony bank “stress tests,” which they all passed of course, even though they are all functionally insolvent. Still, they are raising the capital requirement to 9%. Now, most people would put the raising of the capital requirement into the deleveraging category, but I ask those people one question to point them in the right direction, “Where does that capital come from?” Uh huh, once again we’re talking about thin air here, and when we’re talking money from thin air we’re talking leverage even if said leverage is parked momentarily. NEW YORK (CNNMoney) -- European Union leaders announced an agreement early Thursday on debt crisis measures, including a hard-fought deal with private sector investors to take a 50% loss on Greek bonds. The agreement came at the end of marathon talks to finalize the policy response to the government debt and banking problems threatening the stability of the euro currency and global economy. The response aims to resolve three related problems: the debt crisis in Greece, instability in the banking sector and a sorely outgunned bailout fund. Under the new plan, Greek bondholders voluntarily agreed to write down the value of Greek bonds by 50%, which translates into €100 billion and will reduce the nation's debt load to 120% of economic output from 150%. Charles Dallara, director of the Institute of International Finance, which represented the private sector in the talks, welcomed the agreement. In a statement, he said private investors agreed to the 50% discount "with the support" of €30 billion of official private sector funding. The agreement also calls for a new €100 billion financing program for Greece, which will be funded partly by the International Monetary Fund, according to an official EU statement. Stronger bailout fund: The leaders agreed on two ways to increase the firepower of the EU bailout fund, known as the European Financial Stability Facility. The methods will each leverage the fund by four or five fold, the statement said, boosting its resources to about €1 trillion. The fund will be used to partially insure new issues of government bonds. In addition, it will be supplemented by the creation of one or more special investment vehicles, which will be open to private sector players such as sovereign wealth funds. China has already expressed interest in backing the special investment mechanism. The possibility that China could back the the rescue effort helped lift U.S. stock prices late Wednesday. Bigger bank reserves: The EU government heads also agreed to raise capital requirements for banks vulnerable to losses on euro-area government bonds. "The overarching goal of the exercise is to foster confidence in the European banking sector," said European Council president Herman Van Rompuy. Banks would be required to sharply increase core capital levels to 9% to create a buffer against potential losses. That compares with estimates from the International Monetary Fund and private sector economists that ranged between €100 and €300 billion. The banks would have until the end of June 2012 to meet those new requirements, according to a statement. José Barroso, president of the European Commission, said the technical work needed to complete the measures will be completed "in the coming weeks." "The key is implementation," said Barroso. "It is not enough to make commitments." 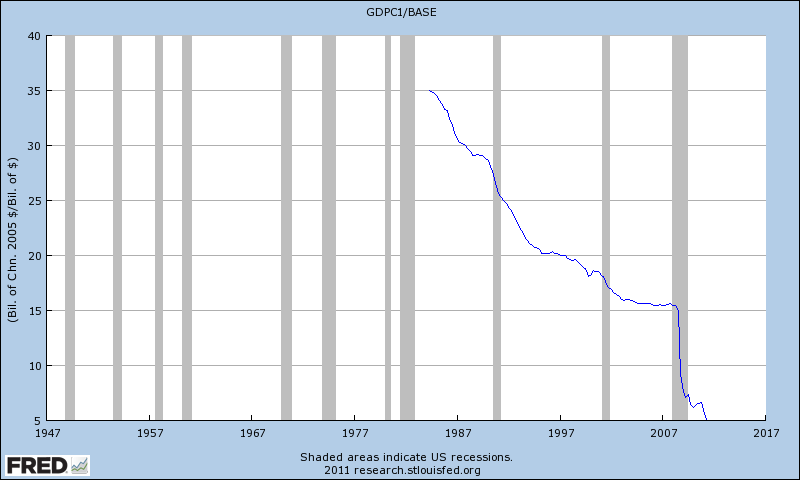 Remember when our banks were required to “raise their capital requirements?” Immediately Hank Paulson pushed for, and got, the ability to pay the banks for “excess reserves.” Those “excess reserves” are now parked to the tune of $1.6 Trillion, all earning interest paid for by the people of the United States. The Europeans are simply taking from the playbook of the U.S.. All you need to do, then, is look at the result here – the stock market zoomed for a few months and then petered out, while simultaneously creating inflation for the things people need to live. There you go, expect more un/underreported inflation, and expect to revisit the Euro problem again and again until the people finally remove those who control the production of money. It’s a dangerous game because inflation will eventually leave the majority of the population penniless. European leaders cajoled bondholders into accepting 50 percent writedowns on Greek debt and boosted their rescue fund’s capacity to 1 trillion euros ($1.4 trillion) in a crisis-fighting package intended to shield the euro area. The 17-nation euro and stocks climbed while bond spreads narrowed after leaders emerged early today from a 10-hour summit in Brussels armed with a plan they said points the way out of the quagmire, albeit with some details still to be ironed out. Last-ditch talks with bank representatives led to the debt- relief accord, in an effort to quarantine Greece and prevent speculation against Italy and France from ravaging the euro zone and wreaking global economic havoc. Greek Prime Minister George Papandreou will address the nation at 8 p.m. in Athens to outline the summit’s ramifications for the country at the eye of the two-year sovereign debt crisis. Measures include recapitalization of European banks, a potentially bigger role for the International Monetary Fund, a commitment from Italy to do more to reduce its debt and a signal from leaders that the European Central Bank will maintain bond purchases in the secondary market. The euro advanced to a seven-week high against the dollar, rising above $1.40 for the first time since September. It was at $1.4007 at 11:48 a.m. in Brussels. The Stoxx Europe 600 Index surged 2.6 percent. The summit was the 14th in the 21 months since Europe pledged solidarity with Greece, and came amid mounting global pressure for the bloc to deliver a credible anti-crisis toolkit before a Group of 20 meeting Nov. 3-4 in Cannes, France. “Long on words, short on details…” That’s because when you are making money from nothing, you don’t want to tell the world exactly how you’re going to do it, but it doesn’t matter because printing money from nothing is still printing money from nothing, all of which goes to benefit those who produce it – the further you are from that production, the more economically disenfranchised you will be. GDP is not a measurement of “production,” it is a measurement of money and moneyness. And the comparisons of debt to GDP are completely fallacious! What matters is not a nation’s debt to the nation’s trumped up “productivity,” what does matter is the nation’s debt compared to the nation’s income! Comparing the nation’s debt to GDP is like comparing your own debt to your neighborhood’s productivity – what do they have to do with anything? Nothing! It’s completely ridiculous! What matters in regards to YOUR debt is YOUR income – period. Economic growth finally strengthened in the third quarter-and the component mix is more favorable than expected. GDP growth improved to a 2.5 percent annualized increase in the third quarter, following an anemic 1.3 percent in the second quarter. The advance estimate matched market expectations for a 2.5 percent gain. Demand numbers also improved as final sales of domestic product increased an annualized 3.6 percent in the third quarter after a 1.6 percent rise the prior quarter. Final sales to domestic purchasers (excludes net exports) gained 3.2 percent, following a 1.3 percent gain in the second quarter. Strength was led by business fixed investment with personal consumption expenditures gaining momentum also. PCEs advanced 2.4 percent, following a 0.7 percent rise the prior quarter. Strength was led by durables with services also accelerating. Nondurables growth was soft. Net exports improved but at a slower rate. Inventory growth was positive but at a slower pace. Government purchases-on weakness in state & local spending-were flat but an improvement over a modest dip in the second quarter. Residential investment posted a modest gain but slowed from the prior quarter. On a year-ago basis, GDP is up 1.6 percent, matching the pace in the second quarter. Economy-wide inflation according to the GDP price index held steady at a 2.5 percent pace and equaled consensus forecasts for a 2.5 percent boost. Today's report is good news, showing that economic momentum has picked up a bit. The component mix is particularly encouraging as final sales have picked up. Initial jobless claims are holding steady in a narrow range just above 400,000. Claims came in at 402,000 in the October 22 week, a bit better than expectations. The four-week average of 405,500 is 10,000 below the month-ago period to hint at mild improvement for the October employment report. Continuing claims in data for the October 15 fell 96,000 to 3.645 million with the four-week average of 3.701 million nearly 50,000 lower on the month-ago comparison. Improvement for continuing claims is an uncertain mix between hiring and benefit expiration. The unemployment rate for insured workers dipped one tenth to 2.9 percent. There are no special factors in today's data, data continuing to suggest that employers, busy with production, are not scaling back their workforces. This number needs to be below 350k to reflect real job growth, it’s been years of nothing but job shedding. 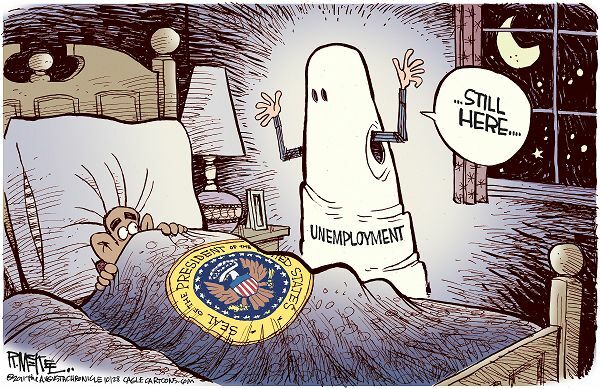 Taking credit for “jobs saved,” is nothing but more fraud designed to cover-up Fraud. 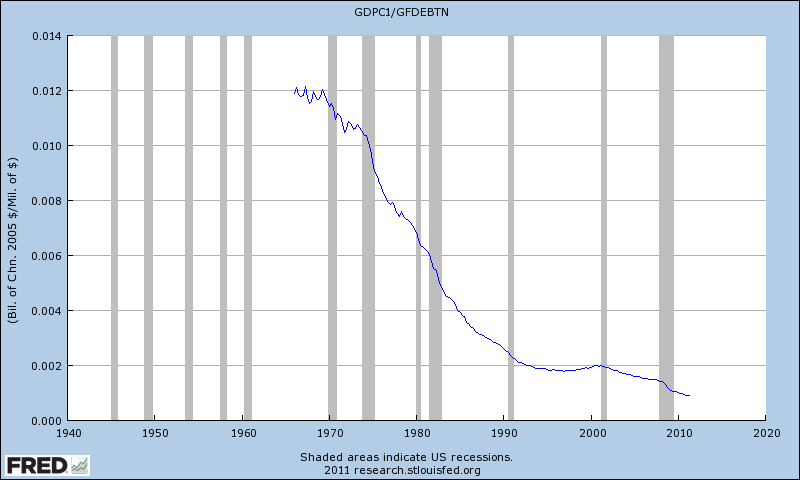 Remember, once debt saturation is reached, adding more debt into the system only results in less real productivity and in higher unemployment. Not to worry, though, the Euroclowns have a deal. Equity futures are rebounding overnight after yesterday’s little “set back.” The dollar and bonds are lower, of course, to pull it off, while oil sneaks in like a thief, gold & silver play defense against the theft, and food commodities are mixed. Yesterday’s Consumer Confidence number came in near the all-time low set back in March, 2009. 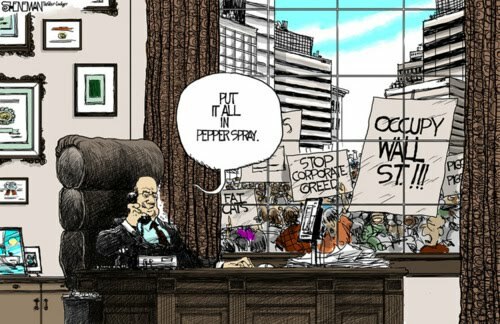 Funny, but on the same day State Street “Investor” Confidence jumped. 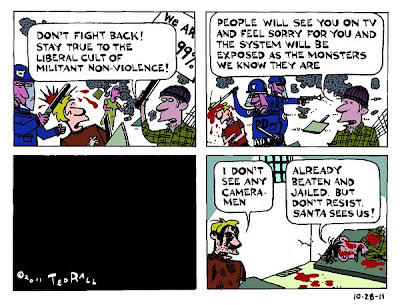 Seems to me that’s a pretty good allegory. 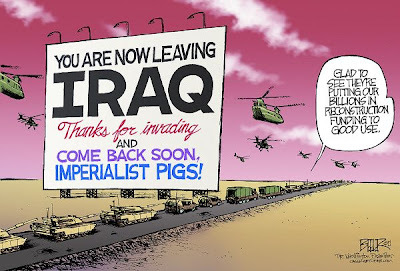 It’s that way because nothing is real in our economy anymore – the only thing we now dominate in manufacturing is RISK. The volume of mortgage applications bounced back from the prior week's Columbus Day lull. Purchase applications rose 6.4 percent in the October 21 week with refinancing applications up 4.4 percent. Rates were steady in the week with the average 30-year fixed-rate loan at 4.33 percent for conforming loan balances ($417,500 or less) and up slightly to 4.68 percent for jumbo loan balances ($417,500 or greater). Whatever… I don’t believe anything that comes out of the MBA – period. The headline is sluggish but outside of transportation, durables orders are showing broad-based strength. New factory orders for durables declined 0.8 percent in September after slipping an unrevised 0.1 percent the prior month. The September decline was in line with analysts' estimate for a 1.0 percent drop. Excluding transportation, durables rebounded 1.7 percent, following a 0.4 percent decrease in August. The market median forecast called for a 0.5 percent boost in durables excluding transportation. The only major industry category to decline in September was transportation which dropped 7.5 percent after rising 0.6 percent in August. Weakness was primarily in aircraft with defense down 33.9 percent and nondefense down 25.5 percent. Some of the weakness in transportation was in autos, which is baffling, given recently healthy sales. Motor vehicles dipped 2.7 percent after a 9.1 percent drop in August. Outside of transportation, orders were healthy across the board. Increases were seen in primary metals, up 2.6 percent; fabricated metals, up 1.9 percent; machinery, up 1.8 percent; computers & electronics, up 1.0 percent; electrical equipment, up 1.9 percent; and "other," up 1.0 percent. Looking at private capital equipment related numbers, nondefense capital goods orders posted a healthy 2.4 percent gain, following a 0.5 percent rise in August. Shipments for this series, however, softened with a 0.9 percent dip in September but followed a strong 3.1 percent jump in August. Overall, durables orders point to continued gains in manufacturing. Again, hard data are running stronger than surveys and anecdotes. 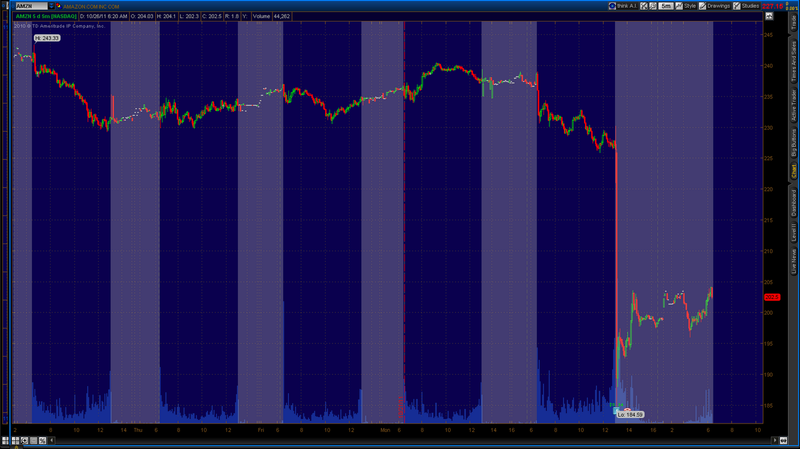 On the news, equity futures improved somewhat. Sure, “broad-based strength,” IF you remove this, that, and the other thing we don’t want you to look at. Nothing but spin and manipulation 100% of the time. New home sales for September are reported at 10:00 Eastern this morning. I support Bill Still for President and hope that you do to. His campaign can be found at Still2012.com. He needs your financial support as well, so please give generously as you know the support the made for T.V. politicians receive. 1. I will put an end to government borrowing. No More National Debt! The United States will replace Federal Reserve Notes by re-issuing debt-free U.S. Notes, and gradually pay off the National Debt with them. 2. I will put an end to the ability of commercial banks to control the Quantity of money in our system through what is essentially counterfeiting. This has been a massive fraud on the people of the United States. 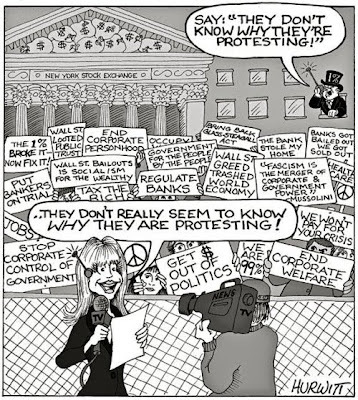 We, the people, will take back the money power from the big banks and return the American economy to monetary stability and prosperity. To ensure this system is enforced, I will appoint a Special Prosecutor experienced in matters of fraud to prosecute to the full extent of the law those who have abused our system in the past to serve as an example for the future. 3. I will abolish the Internal Revenue System and the income tax – both personal and corporate — and implement a fair, simple and equitable consumption tax in accordance with the U.S. Constitution. This is how we funded our government for the first 100 years, and we can do it again. Equity futures are lower this morning with the dollar and bonds only slightly higher, oil is still trying to strangle the global economy by pushing $95 a barrel, gold is higher while silver is flat, and food commodities are generally higher. Home prices, at best, may be stabilizing according to Case-Shiller data that show no change in the adjusted composite-20 index for August. 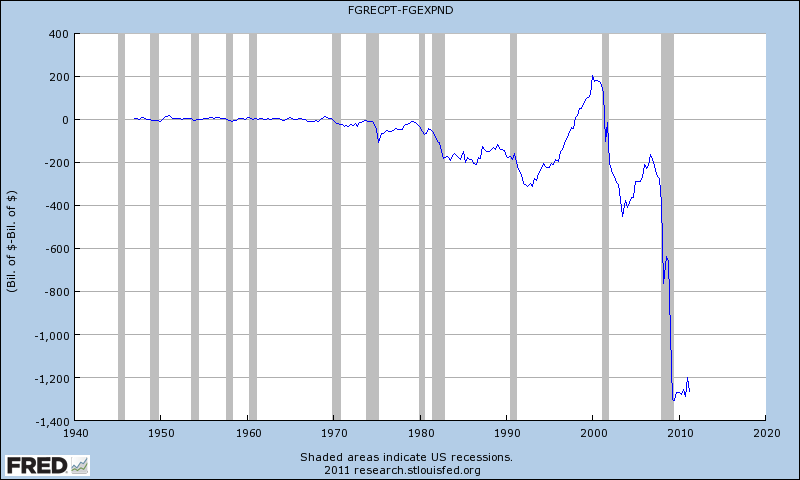 The reading ends three prior months of 0.1 percent declines (July revised downward from no change). The unadjusted reading, at a very weak plus 0.2 percent vs plus 0.9 percent and plus 1.1 percent in the two prior months, points to price contraction in August given that monthly readings in this report are three-month averages. Nevertheless, the unadjusted year-on-year pace of minus 3.8 percent is the best reading since February in what hints at a flattening in the slope of price contraction. At 10:00 a.m. ET this morning, the FHFA house price index will be released. 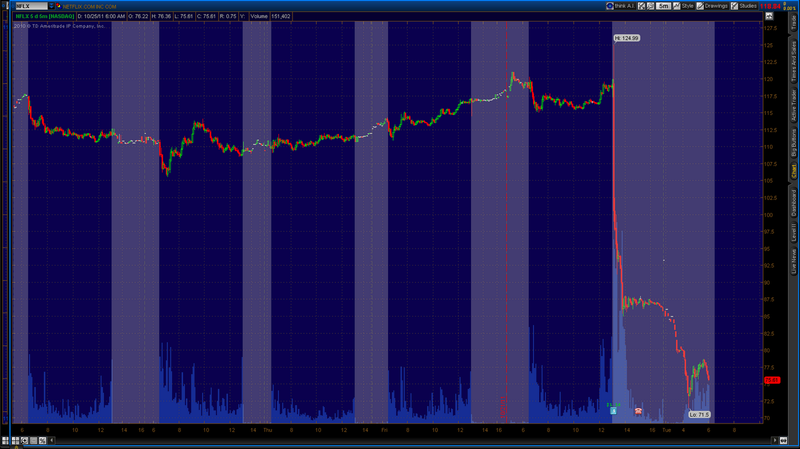 I’d hardly call a 3.8% year over year price decrease “stabilized,” more like just not in complete free-fall. As we get quite a bit of home data this week, keep the Option-Arm Reset chart in mind and how we are now past peak, but it will take time to work these through the economy. 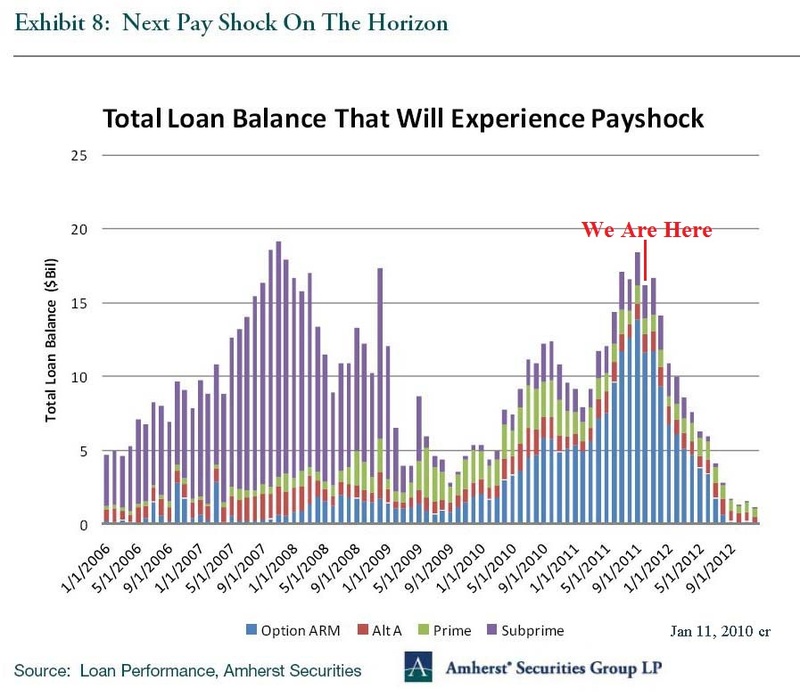 Keep that chart in mind, too, as you wonder in fascination at the wild antics of the Obama Administration opening up Fannie, Freddie, and FHA loans to no doc, no appraisal, don’t care if they are underwater, refinancing. Nuts, certainly NOT a cure for housing, just another attempt to help the banks while pretending to help the people, all such efforts only delay a real bottom in the housing market. Here’s the entire Case-Schiller report, I note that there is positive spin bias language in their reports, and that makes Schiller a part of the problem, especially knowing that they allowed S&P (a corrupt organization and a big part of the problem) to own this report – thus I do not consider it unbiased, and again point out that companies with financial interests in economic reporting should NOT be allowed to produce and then publically disseminate economic statistics on that industry. I’m not saying that private entities shouldn’t report, only that such entities not have financial entanglements. Consumer Confidence, FHFA House Price Index, and the Richmond “Fed” Index are all released at 10:00 Eastern this morning and will be reported inside of the Daily Thread. 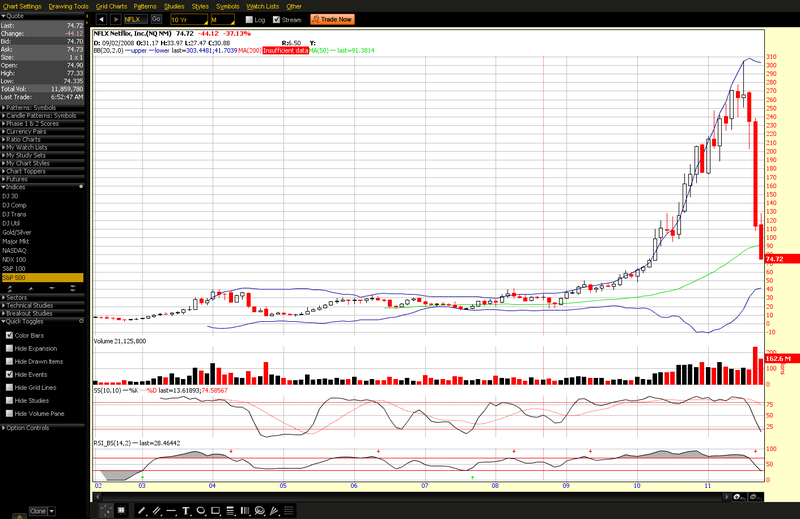 $304 a share to $75 in just three months - bubble buildup always comes off way faster than it was put on. Whenever you see a parabolic rise, you rightly should be nervous as parabolic rises always collapse at some point, always. This money pumping economy has produced a manipulated market where excess builds very rapidly and then moves on to the next bubble very rapidly. This is gambling, it is not “investing,” and the equity markets are not serving their intended purpose efficiently because of the manipulation. Agree completely that we need to be wary of creating the same problem on an even larger scale, pushes in that direction are self-serving for those who currently posses the money creation power. But I would caution about being careful what you ask for – you do not want to swing from one extreme (infinite leverage) to the other (no leverage, no fractional reserves), or you will definitely not be happy with the results. Again, there is a way to transition to a stable and reasonable economy that works to the benefit of everyone, and I’ll be spelling that out again in my next articles revisiting Freedom’s Vision. Equity futures are higher still, even after last Friday’s head shaking whatever you call it 267 point HFT casino madness rally. Whatever, the “markets” are not free and they are not real, they are certainly NOT a safe place for your retirement money. The dollar and bonds are higher, not what you would expect with higher equities, oil is higher, gold & silver are higher, and food commodities continue to strangle real living beings due to a false monetary construct. 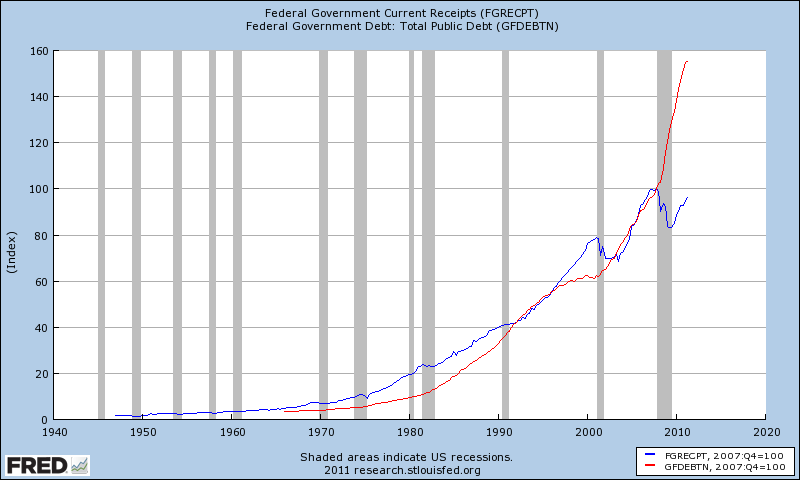 Note in the chart above that these values have been indexed in order to get them on the same scale - in reality income is much smaller as a percentage of debt with Federal Receipts only $2.5 Trillion. The national activity index improved to minus 0.22 in September from a revised minus 0.59 in August, still below zero to indicate below trend growth for the sixth straight month. The three-month average improved to minus 0.21 from an unrevised minus 0.28. Employment-related indicators moved to slightly positive ground as did production-related indicators. Sales, orders & inventories also moved to the positive side. Consumption & housing improved slightly but remains deeply negative. The rest of this week will bring a lot of housing data, the first look at Q3 GDP with a consensus of 2.5% trumped up “growth,” and on Friday we’ll see Consumer Sentiment, not that historically low readings mean anything to the narcissists running the production of money. The Euroclowns continue to generate laughs in the face of their impossible math. I will guarantee you the current arrangement is coming to an end… soon. 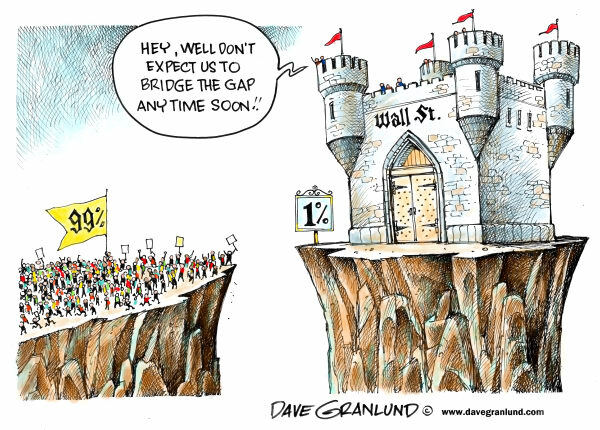 One way or the other, so don’t get used to the fantasy that there’s some kind of “fix” coming – sorry, but no real fix until the private individuals in charge of money production are removed. PMI Group Inc. (PMI), the mortgage insurer that was ordered in August to stop writing policies, said a unit that sells such coverage was seized by Arizona authorities and will pay out claims at 50 percent starting tomorrow. In August, the Arizona Department of Insurance told PMI that the unit, PMI Mortgage Insurance Co., was to halt sales of new policies and stop making interest payments on $285 million in surplus notes. PMI, which is based in Walnut Creek, California, said it needed to provide the regulator with a plan to improve its ability to meet policyholder obligations. “The department may take appropriate action, including commencing conservatorship proceedings” if PMI fails to satisfy regulators’ demands, the company said on Aug. 19. That same month, PMI Group posted its 16th straight quarterly loss. The worst U.S. housing crash in seven decades has pressured mortgage insurers, which pay lenders when homeowners default and foreclosures fail to recoup costs. Home prices fell 3.3 percent in the 12 months through July as a U.S. unemployment rate of more than 9 percent sapped the confidence of potential home buyers. PMI is one of the largest mortgage insurers in the country. When a conventional buyer puts down less than 20% of their home’s value they are then required to buy mortgage insurance – yet another scam that fed the credit bubble and caused home prices to rise. The rating agencies are complicit in allowing this mortgage insurance, but even they would not give the mortgage insurance that coveted triple-A rating unless they had diverse income streams. 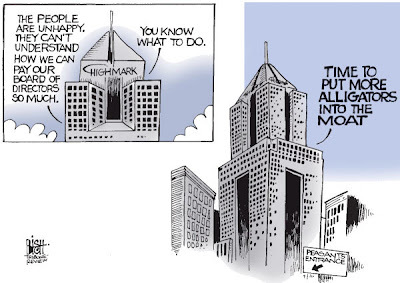 That is why PMI, and other mortgage insurers, began also insuring municipal bonds – a much less risky business (previously anyway), and that enabled the complicit rating agencies to issue Triple-A’s, which they did. But then the housing bubble collapsed and very quickly it was obvious that the mortgage insurers were all bankrupt – a fact the banks worked hard to conceal because without the insurance their own loan portfolios would have imploded (immediately). So PMI was allowed to languish and eventually they played the illegal shell game of splitting their company into two parts – the good assets into one company, and the bad insurance portfolio in the other. Again, this is ILLEGAL, always has been, but is being allowed to occur since this crisis began – this is fraud, it is criminal conduct. So now the state regulators FINALLY make a move on the bad company, but the good assets are already long gone, get it? That’s how you play the shell game, and that’s why it’s illegal, it leaves those who were defrauded unable to attach assets that they otherwise would have had a claim against. 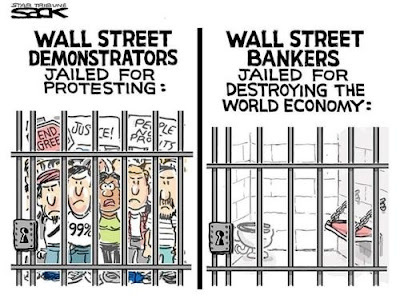 The banks are also now playing the shell game, and our government and “regulators” are allowing this illegal activity to occur! Why should you care? 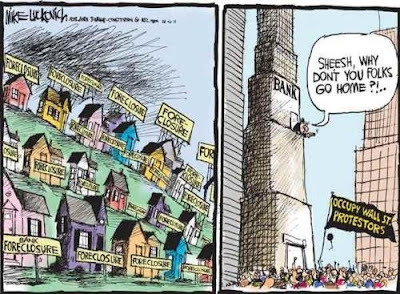 Because you probably have retirement money in funds that own these bad companies, and everyone has been put on the hook for losses in Freddie and Fannie as the banks and mortgage insurers shirk their crap onto all of us! This is exactly why I say that the very first step in restoring a functional economy is restoring the rule-of-law. That means that the FRAUD must be prosecuted! As I wrote in my recent article, Monetary Madness – The Real Money Bomb, there is a money explosion in progress. 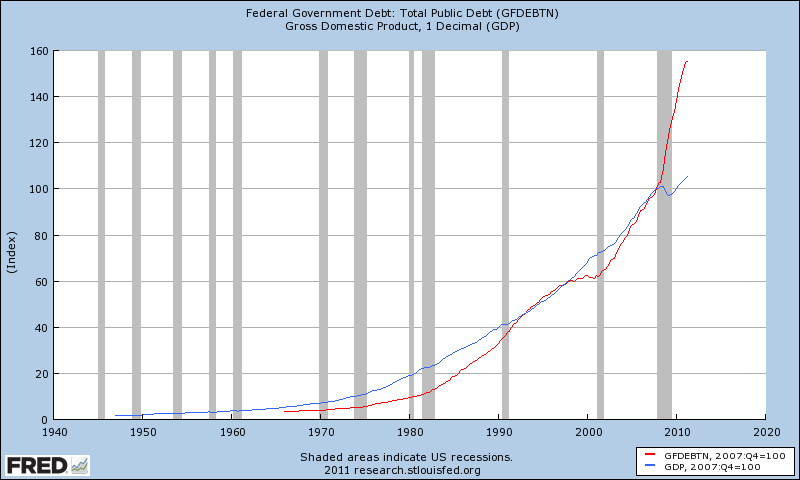 In that article I posted a couple of very important charts that reinforce the concept of Macroeconomic Debt Saturation. While I have provided much evidence that debt saturation has occurred, it’s such an important topic that we need to keep examining it until it is embedded into the psyche of the world – it puts the lie to the current economic disinformation propagated by those who are willing to prop up the flawed central banker box at any cost. Those closest to the production of money profit, and thus the incentives to keep false constructs alive are strongest the closer you get to that money production. Humanity, however, is working to unravel their misdeeds and set in place a proper rule-of-law. The concept Diminishing Returns of Debt goes side-by-side the concept of Debt Saturation. Together, these are the most important economic concepts of the past century as they unravel a century’s worth of disinformation designed to keep humanity working (and dying) on behalf of those who possess the money creation power. 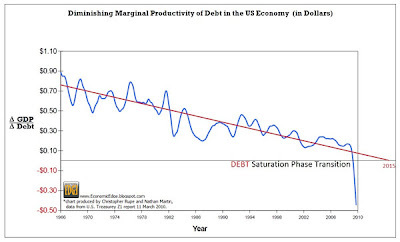 I wrote about Diminishing Productivity of Debt in my articles THE Most Important Chart of the Century, and it’s follow-on Guest Post and More on THE Most Important Chart of the Century. 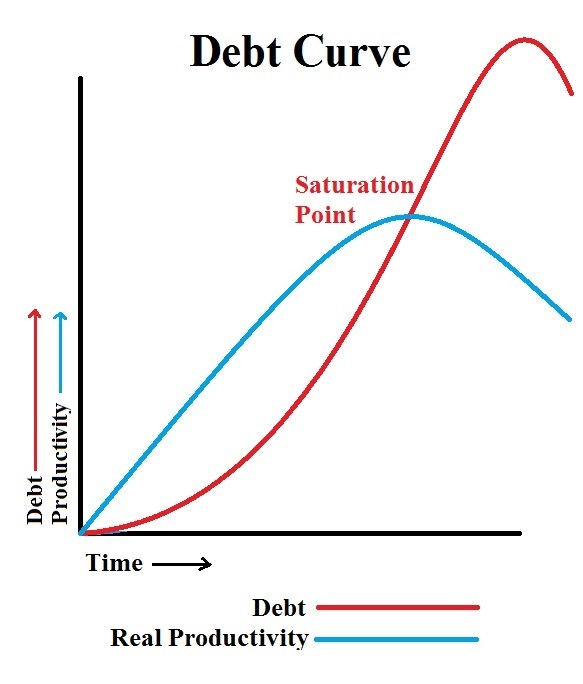 DEBT SATURATION - Occurs when collective income can no longer service more principal and interest under current credit terms & conditions. 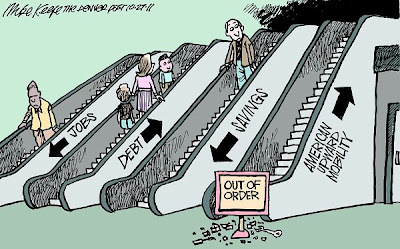 Debt saturation can occur for you personally, for your family, and it can occur for the people collectively. It can also occur, and has occurred, for local municipalities, city, state, and Federal governments, as well as corporations (financials in particular). Because the same income earners ultimately are responsible for all these debt (a key concept), there is a point that occurs overall, that point I call Macroeconomic Debt Saturation. 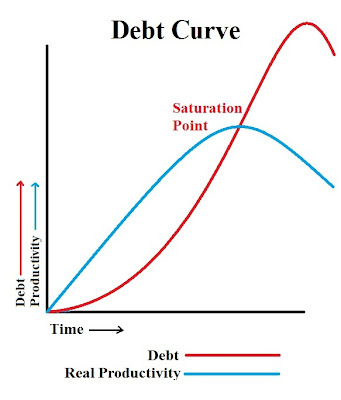 Debt saturation can occur and then recur as credit terms are changed - for example, the lowering of interest rates moves the allowable amount of debt prior to reaching saturation up. 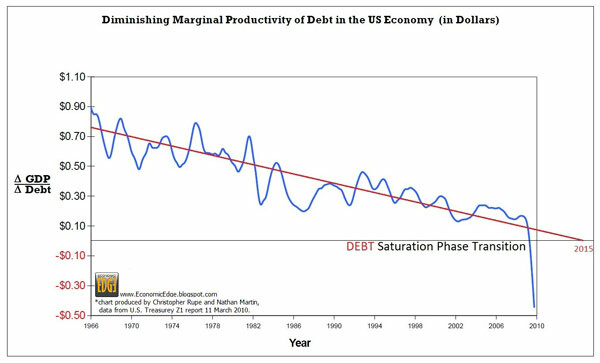 DIMINISHING PRODUCTIVITY OF DEBT - Is the phenomena of decreasing real productivity gains for a given amount of debt creation. 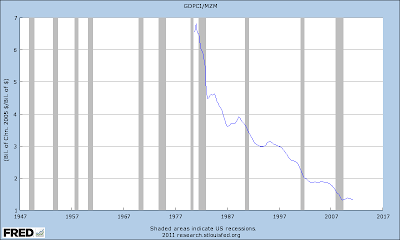 In a non-saturated economy, the introduction of credit does work to increase productivity. However, approaching the Macroeconomic Debt Saturation point, the productivity gain begins to decrease, and at the saturation point is zero, turning negative as we get beyond the Debt Saturation point. 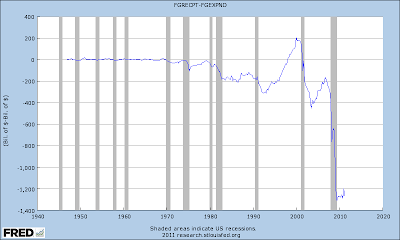 For example, in the year 1920 (only seven years post “Fed” creation), one dollar of credit may have produced three dollars or more worth of gains in productivity. China is a part of the world that until recently was unsaturated, but then got fast and easy gains in productivity through massive credit growth, and are probably already debt saturated themselves. In the U.S., we added layer upon layer of credit and other forms of leverage and are now far beyond the debt saturated level where the addition of debt actually subtracts from real economic activity. 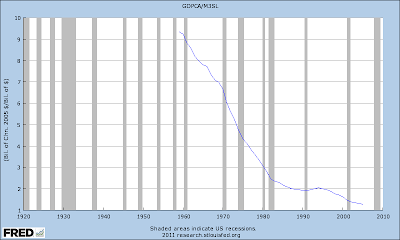 This can be seen in the Diminishing Marginal Productivity of Debt chart, whereby the beginning of 2010 each dollar of debt added to our economy was subtracting 45 cents worth of productivity! Any economist worth their salt should have seen this diminishing return and debt saturation problem coming – very few did, and none properly verbalized it. Mechanically what is happening is that because the vast majority of our money is debt, when new debt (money) is introduced beyond the saturation point, instead of going to create new factories, infrastructure, etc., that new money/ debt is instead needed to service prior existing debt. Thus money no longer circulates (falling velocity), and instead simply circles right back around to the bank to service existing principal and interest. Currently the mainstream has completely misdiagnosed this, and like beating their heads against an immovable wall, keep trying to add more debt into the debt saturated condition. Yes, that used to work to “stimulate” the economy, but that was on the front side of the “Debt Curve,” before reaching the Debt Saturation Point. 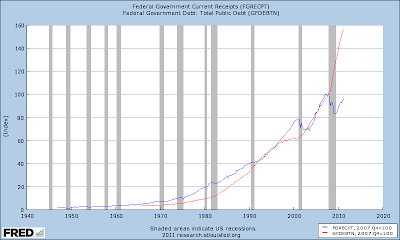 We are now well past saturation, still climbing the front side of the “Debt Curve,” awaiting the plummet off the back. 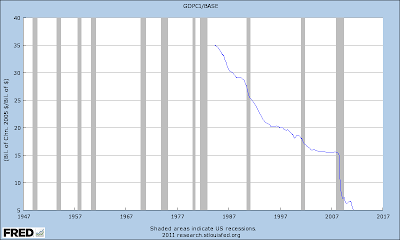 If you make GDP on that chart really “real,” that is you adjust for true inflation, then you will find that productivity peaked a long time ago and is continuing to fall today – more like the chart I drew. False statistics are a part of the problem, they mask reality and make it difficult to pinpoint problems, and thus create meaningful solutions (remove those who produce money to their benefit). 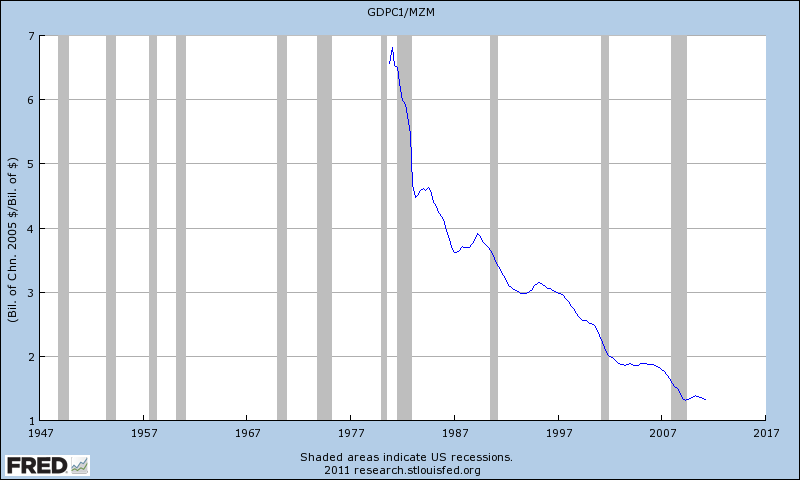 Note that this figure is nearing zero – that is the point were total confessed debt equals the trumped up GDP – said another way, debt to GDP is approaching 100%. 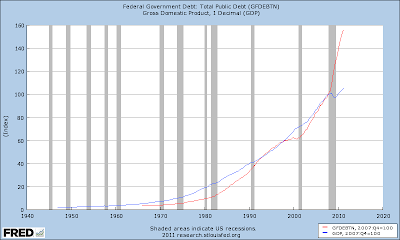 First of all, it’s not true, real debt passed real GDP a long time ago, but more importantly why is this dangerous? It’s dangerous because the cost to carry that debt gets exponentially heavier. In fact, today I can summarily state that our nation’s interest expenses exceed our nation’s income via taxes! 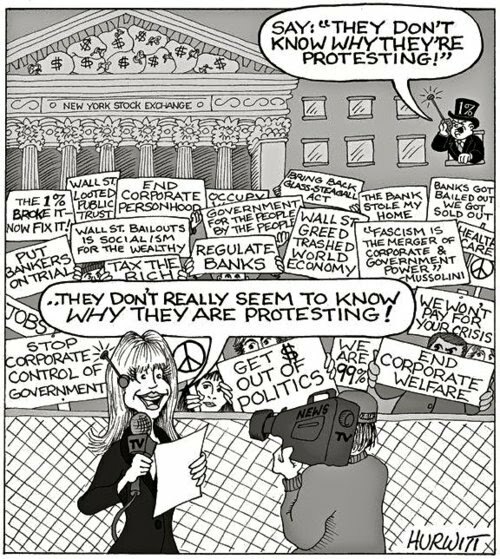 That’s right, more than 100% of our nation’s income goes to pay interest – not the trumped up $400 billion advertised by .gov and the “Fed,” but because we spend trillions to artificially buy down interest rates, that money in reality is an interest expense, and it equals more in total than the U.S. takes in via taxes. It’s really important at this point to again point out that lying is a cooperative act – it takes two people to make a lie, one who dishes it out, and one to believe it. That chart above is much worse than that in reality, it’s far more negative. It’s time for everyone to stop being a willing party to the lies! 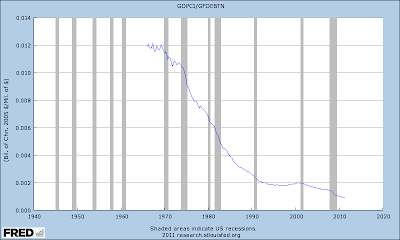 In the diminishing productivity charts above, we had divided GDP (supposed productivity) by debt. But funny thing, since all our money is debt, what do you suppose happens when we divide GDP by our money? 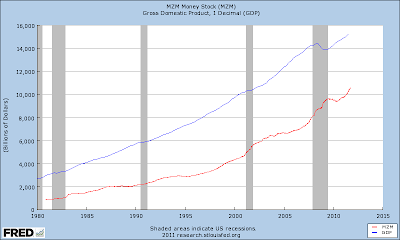 Why we get the same exact diminishing returns effect, thus it’s not just diminishing returns for debt, but it’s also diminishing returns for our money! This highlights the problem with money as debt, you cannot pay down the debt without getting rid of money! Thus once you are saturated with debt, it is impossible inside of the debt is money paradigm to unsaturated yourself! Just look at Japan! Again, what’s important is WHO controls and benefits from the production of money – that’s where the real root of the problem lies. The only way out, is to get outside of the central banker box, and that means producing money that is not backed by debt that benefits only a few. A portion, at least, of that sovereign money, then, must be used to swap out the debt saturated condition. 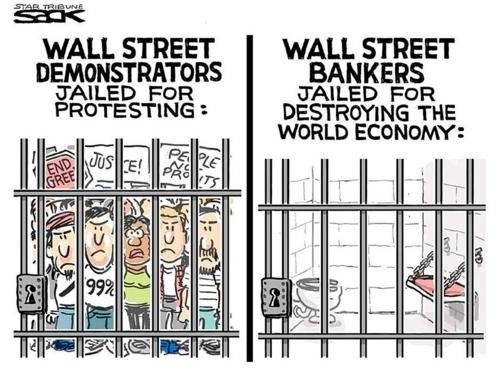 This CAN be accomplished in such a way as to make the purveyors of fraud take their pain, and simultaneously freeing the rest of society from the shackles that is macroeconomic debt saturation. In my next article I will once again explain how, by summarizing and updating the main points in Freedom’s Vision. Next time you are confronted with an economist, politician, or mainstream media person who doesn’t get it, ask them to explain Macroeconomic Debt Saturation and the associated Diminishing Returns of Debt – I’ll wager you get blank stares, point them to this article!